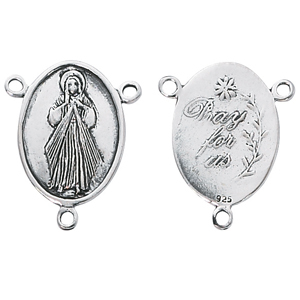 Sterling Silver Rosary Station. A little larger than the other, this measures approximately 26mm x 20mm. Priced per piece.